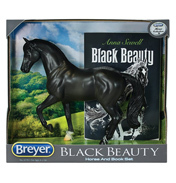 The Breyer Moulding Company was commissioned in 1950 to create a model of a horse to decorate a clock. 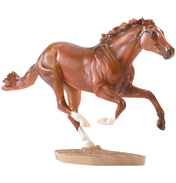 This was the first model of a horse that they had made but they soon realised the demand when word got out about the authentic horse that they had fashioned. 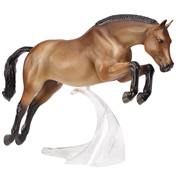 The original model is now known as the number 57 Western horse and has been joined by many other models that are perfect for horse lovers and collectors of all ages. 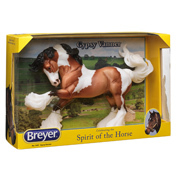 The traditional range from Breyer is sculpted from moulds in 1:9 scale. 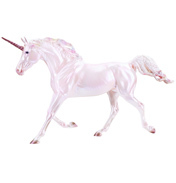 The models are made from cellulose acetate, a type of high quality plastic and stand at approximately 8 inches in height and 11 inches in length. 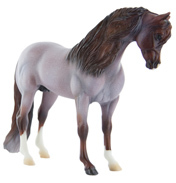 The attention to detail and authenticity that can be seen in these models makes them ideal for people who want to collect breeds from all around the world. 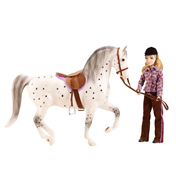 The range is targeted towards girls aged between 8 and 13 but they are very collectable. 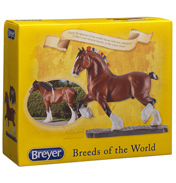 How well do you know your horses? 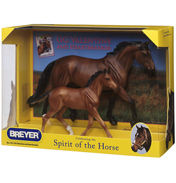 Could you spot Red Rum? 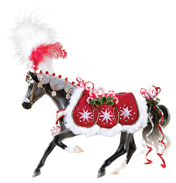 He may be the best-known racehorse in the UK but would you recognise him? An Irish racehorse, which won the Grand National three times in 1973, 1974 and 1977, he certainly deserves to be remembered and recreated. 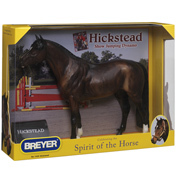 Other well-known horses from both history and fiction can be found within the traditional range. 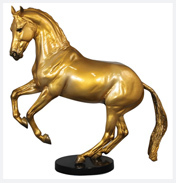 You can even combine a love of Elvis with your love of horses by treating yourself to the Graceland Stables and a model of Elvis’ favourite horse, Rising Sun.